Welcome to the This Is Horror Podcast Patreon, our aim is to be SO GOOD YOU HAVE TO JOIN US. I'm Michael David Wilson, Founder of This Is Horror, and the co-host of the This Is Horror Podcast. Joining me week in, week out is my co-host and This Is Horror Website Manager, Bob Pastorella. I started This Is Horror Podcast to promote and spread the word about great horror in all its guises. Five years later and This Is Horror Podcast has conducted long-form conversations with more horror authors than any other podcast. What is the This Is Horror Podcast? This Is Horror Podcast specialises in horror fiction and the craft of writing. Each episode we have a long form conversation with a writer, publisher, or creative. We’re not only interested in the mechanics of writing but personal philosophies, life lessons, and how we can grow as people as well as writers. We have already spoken with so many wonderful writers and creatives including Joe R. Lansdale, Ellen Datlow, Victor LaValle, Gemma Files, Benjamin Percy, S.P. Miskowski, Adam Nevill, Kristi DeMeester, Craig Davidson, Kathe Koja, Paul Tremblay, Peng Shepherd, and Joe Hill. Over the years, we’ve also been fortunate enough to collaborate with other wonderful podcasts including Booked. Podcast, Ladies of the Fright, and Castle Rock Radio. Our critical acclaim is growing, too. We’re so appreciative of all the support we’ve received from the horror fiction and wider community including LitReactor, Lounge Books, and Unnerving Magazine. But we’re not stopping here. Not even close. We’re constantly pushing ourselves and the podcast to better serve our listeners and community. Take, as examples, the ever-increasing Patreon rewards and tiers, and our patron-only podcasts Story Unboxed: The Horror Podcast on the Craft of Writing and Q&A Sessions. We're proud of what we've built and what we’re building. This is the bit where I used to tell you about our stats (over 10,000 monthly downloads and growing) and all the time and money we put into This Is Horror Podcast (I’m making it my full-time job). But we’ve grown, learnt, and expanded. The This Is Horror Podcast Patreon is not just a way of showing your support. The This Is Horror Podcast Patreon is about becoming part of a wider community. Becoming a This Is Horror Podcast patron is an investment in your own development as a writer, reader, and perhaps even a human being. Dare I be as bold as to suggest that the This Is Horror Podcast Patreon might just be the very best horror fiction membership club you’ll find for just $1. We don’t only want people to sign up because they want to support us (though make no mistake we’ll gladly accept people who do and are so very grateful for all your support). We want people to sign up because we deliver such great patron benefits, content, and rewards that to say ‘no’ and to not sign up is to miss out. We want to make This Is Horror Podcast Patreon SO GOOD YOU HAVE TO JOIN US*. We want to make This Is Horror Podcast Patreon the best Patreon page in horror fiction. We want to make This Is Horror Podcast Patreon the best Patreon page in podcasts. Hell, we want to make This Is Horror Podcast Patreon the best Patreon page on Patreon. How we’re making This Is Horror Podcast Patreon SO GOOD YOU HAVE TO JOIN US? Through hard work, experimentation, and constant content. And we often experiment. Trying different things. Sometimes failing. Always growing. Right now, the long-form conversation is This Is Horror’s speciality, but we’ve dabbled with all sorts of other formats including author-narrated fiction, Writers’ Craft Talk, and remastered podcasts. Sometimes you’ll dig the new style. Sometimes you won’t. But that’s okay. But that’s okay because always we grow. Always we learn. You can check out all of our tiers and benefits over in the right-hand navigation but here are the things I’m most excited about. Listen in to Patrons Only Q&A episodes where Bob Pastorella and I answer ALL your questions. Ask us about craft, life, writing, horror, and personal philosophies. No topic is off limits. Early bird access to every This Is Horror Podcast episode. We’ll follow you on twitter because we want to see what you are up to—just send us a tweet @thisishorror and let us know you’re a patron. Submit a question for each and every This Is Horror Podcast guest—this is perhaps the greatest benefit of all. 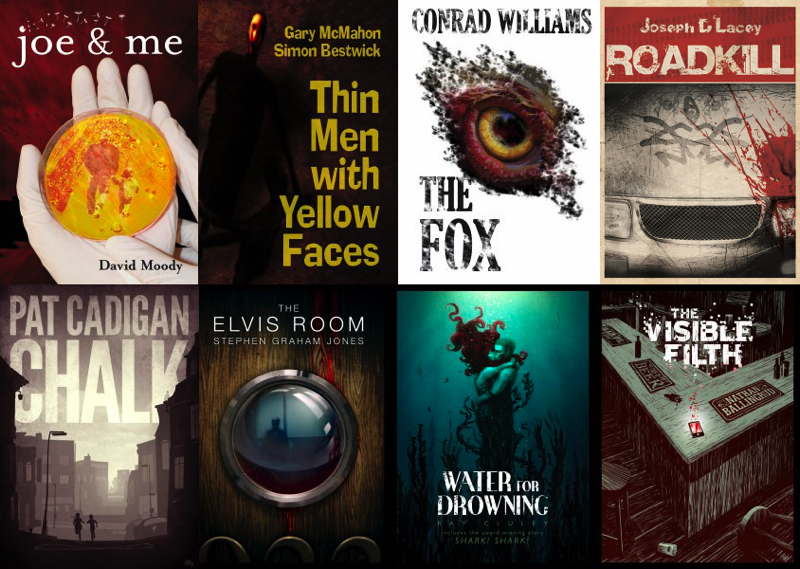 We’re having conversations with some of the smartest minds and best writers within and beyond horror fiction. For just $1 (!) you can submit your questions for every guest and we’ll ask them. Now before we move on, let’s talk about pledging at the $1 level. I’ve had a few people tell me they wish they could support the This Is Horror Podcast but all they have is $1 and they’d feel bad if that was all they pledged. If we didn’t want people pledging ‘just’ $1 it wouldn’t be an option. And there’s no just about it. As soon as you pledge $1 you become part of the elite 1% who pledge to our Patreon and that makes a huge difference to This Is Horror. You become part of the family. And that means the world to us. You’re getting access to Story Unboxed: The Horror Podcast on the Craft of Writing. That’s a whole other podcast that we created just for you. This is for everyone who wants to go deeper and explore the mechanics of story. It’s This Is Horror meets LitReactor meets an MFA in Creative Writing in podcast form. Episodes are often 2–3 hours long. Sometimes longer. And not only do you get to hear us analyse and dissect each story or film, but you can submit questions and comments and become part of the conversation. You can enjoy every conversation as one episode. This is the number one listener-requested Patreon perk. Many of you said, “I want to hear the whole conversation, uninterrupted, with no breaks, no part one, part two, part three. Just the conversation as recorded.” And we listened, then we took things further. See, not only do you get the entire conversation in one file but you hear the entire conversation before anyone else even hears part one. So good, it's worth putting in bold. Perhaps, so good you have to join us? Best of all, it's only $4. Access to ‘On Camera/Off Record’ a brand new ‘post-podcast’ video where Bob Pastorella and I kick-back and reflect on the podcast we’ve just recorded and anything else that’s on our mind. This is casual, informal, and provides a more laidback intimate look into who we are. Each video is at least ten minutes long and given how much we like to talk it’s likely a lot longer than that. So, that’s the skinny folks. We’re making the This Is Horror Podcast SO GOOD YOU HAVE TO JOIN US! If there’s something we’re not offering that you want, then let us know. Drop me a line [email protected] or over on twitter @wilsonthewriter. In our 200+ episodes and 5+ years This Is Horror Podcast has already come so far. But we’re not slowing down, we’re speeding up. Thank you to everyone who’s listened, pledged, and shared an episode of This Is Horror. And have a great great day! * and yes I lifted that from Cal Newport’s ‘So good they can’t ignore you’ who in turn lifted it from Steve Martin. Early bird access to every episode of This Is Horror Podcast. Submit questions for This Is Horror Podcast guests. Feel good. You're part of the elite 1% of TIH listeners who pledge—you rock! We'll follow you on Twitter because we want to know what you are up to. Send us a tweet @thisishorror and let us know you're a patron. Your name added to a special Patreon page on www.thisishorror.co.uk (optional). Our patrons-only podcast Story Unboxed: The Horror Podcast on the Craft of Writing. Your name plus a custom link added to a special Patreon page on www.thisishorror.co.uk (optional). Access to interviews as one complete episode (no parts). You hear the entire conversation before anyone else even hears part one. 25% off all This Is Horror books and products from the This Is Horror shop (direct message us). Receive a This Is Horror eBook every four months (direct message us). Your name plus a custom link plus a one-line bio added to a special Patreon page on www.thisishorror.co.uk (optional). Get access to a patrons only video cast in which Michael David Wilson and Bob Pastorella present a casual 'off the record' post-podcast conversation reflecting on the conversation and beyond. It's relaxed, it's informal, it's anything goes. Electronic versions of all brand new books from This Is Horror. Your name plus two custom links plus a two-line bio plus a brand or artist image added to a special Patreon page on www.thisishorror.co.uk (optional). Electronic versions of all This Is Horror books from our archive. You will receive one new eBook every month until you have all of our back catalogue (direct message us). You love horror and you love This Is Horror and that’s why you’re donating. Suggest a guest every month to appear on the This Is Horror Podcast and we’ll do our best to grant your request. Know that you’re the best and our audio equipment is improving rapidly because of your generous support. We’ve also become better podcasters and are morally better people because of YOU. We're going to support a new creator on Patreon. Plus we're going to collaborate with another podcast for a very special episode to mark 150 patrons.